Just about to check my email and these show! We are undertaking some essential, but extensive maintenance to improve Yahoo! Mail. During the maintenance period, some users may experience problems accessing Yahoo! Mail. We sincerely apologize for this inconvenience. Your account is in great shape and we are working to have it available again as quickly as possible. It is raining here, how about your place? I manage to check my photo folder and photo can now upload for my blog post but taking some times to load. 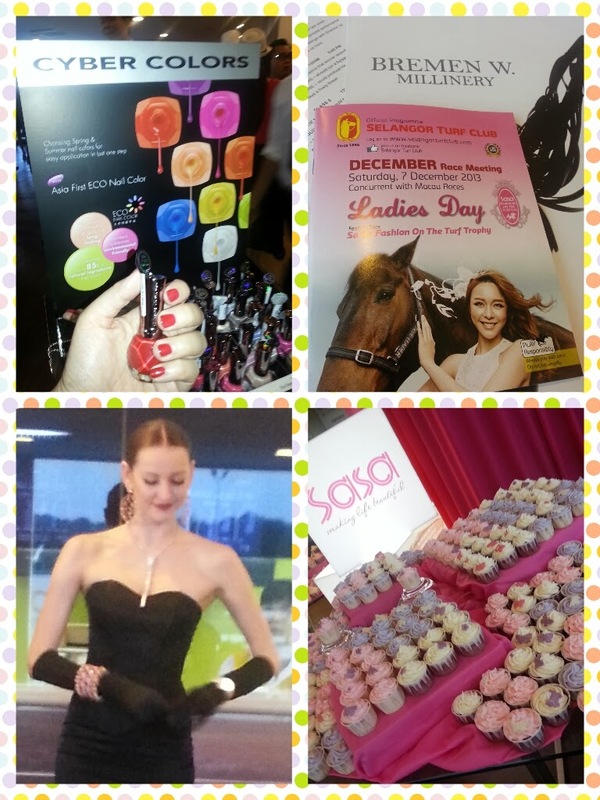 Here's a picture of before and after the Sasa Ladies Day, yeah everyone going back and time to redeem their goodie bag. If you are curious of the goodie bag click on the link to view. 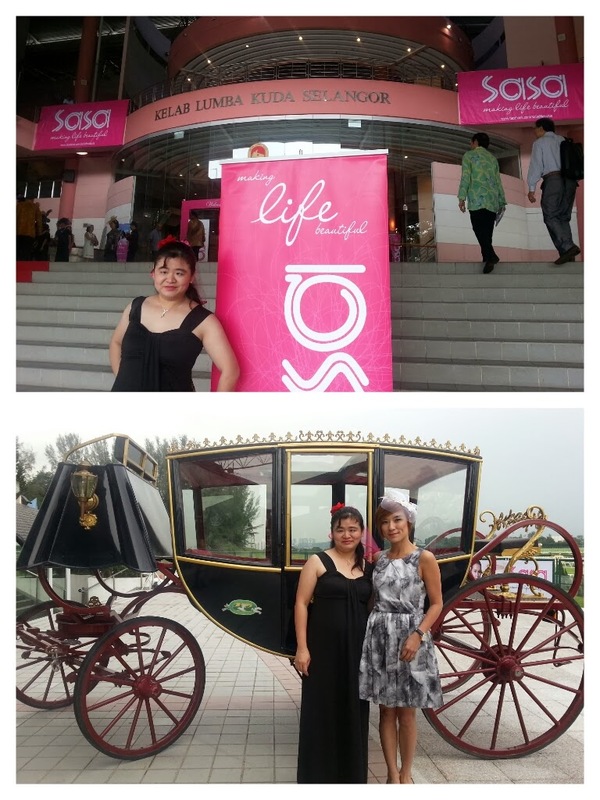 I can't thank you enough dear Sheta for taking her time off to fetch me. I hope you have fun on the day. Here's some photos to share with you. 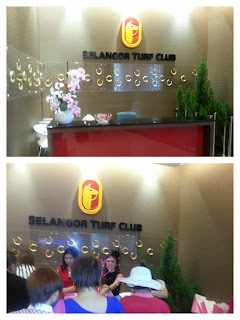 The fee of parking is RM6.50, car parked at the Invited Guest area as stated in the email. 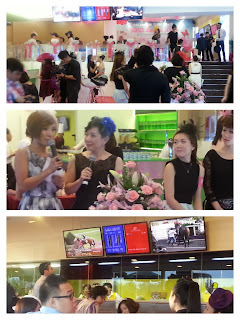 On the left is a picture of me with emcee of the day Chui Ling. On the right picture, the top floor you see are the VVIP seating. That's where the best ten dresses are announced too. I have my nails colour with Cyber Colors in red on spot. I choose red as to match my red rose fascinator. There's no put on base nail polish or top coat nail polish, within an hours or two hours the color discolor at tip of nails. After back home I have to remove them. There are horses betting available, you can see above picture where people can just dine and watch their favourite horses! This is how I spend the first week of Saturday, how about you?